Pastel Artists of New Zealand (Inc) was founded in April 2002. The Facebook page is a place to: share images of pastel paintings and techniques; have friendly discussions about being a pastel artist; share challenges and triumphs with pastel; discover new pastel artists and masters; and to share PANZ news, events and competitions and those of other International Pastel Societies. 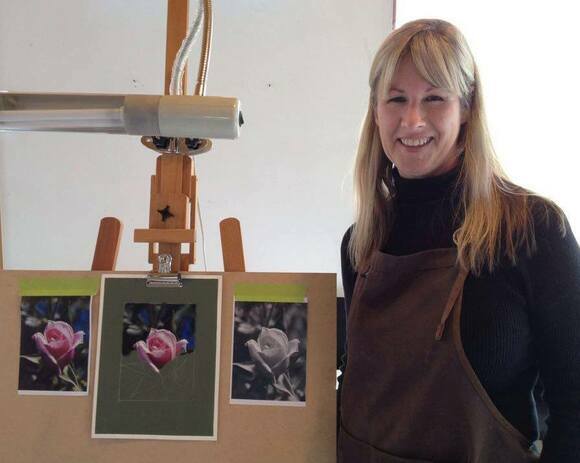 PANZ aims to promote pastel art as an art form in its own right and to promote New Zealand pastel artists. 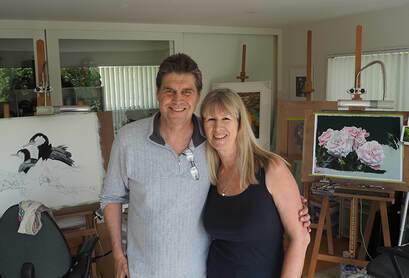 It is achieving these aims through publicity, workshops, setting up a regional structure, exhibitions and a two-monthly full colour newsletter- NZ Pastel Artist. To view the work in previous IAPS exhibitions including the 33rd Juried Exhibition - 2018 Webshow, the 32nd Exhibition (2018 Tacoma, WA Show), the 31st (2017 Webshow) and in the two 2017 Convention shows - the 30th Juried Show and the 4th Master Circle Exhibition, click here. 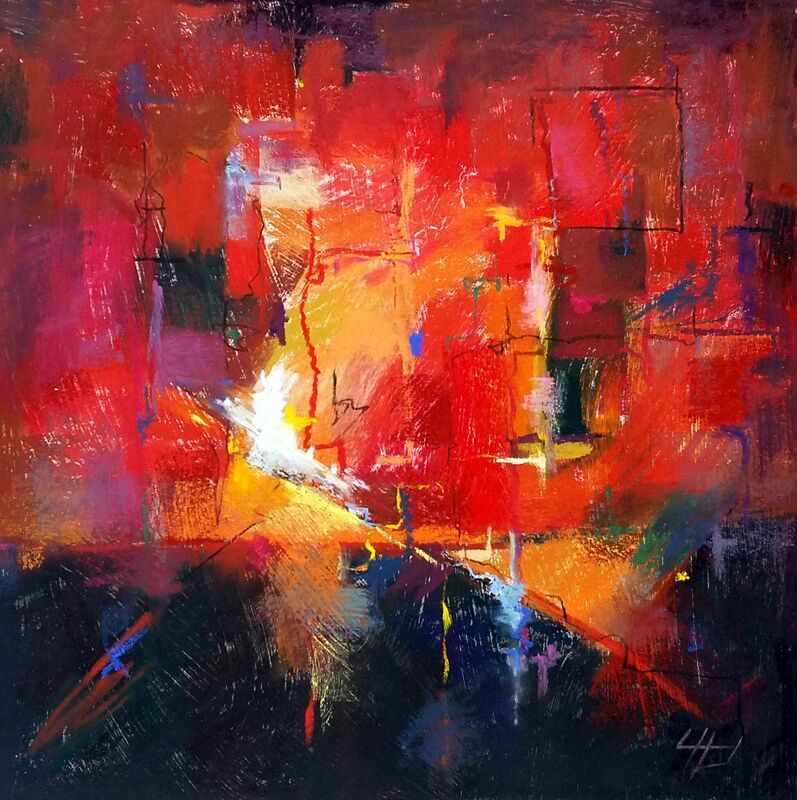 ​Accepted into the 5th Master Circle Exhibition is Julie Freeman, and Tony Allain. PANZ National Annual Exhibition is fast approaching! March 30 - April 21. It will be held at the Percy Thomson Gallery, Stratford and the Convention over the weekend 29th-31st. ​For paid members of the Pastel Artists of New Zealand . 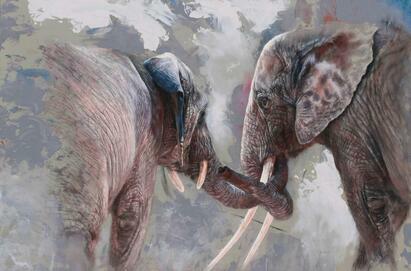 This juried exhibition showcases the best pastel work from members. The Convention is always a highlight of the year, an opportunity to catch up with other members, meet new ones, share a love of pastel, participate in a schedule of events over the weekend, and be inspired! 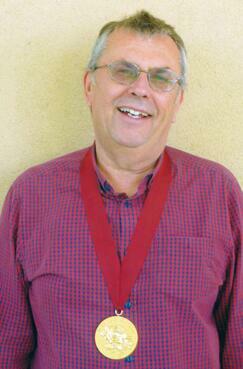 The added bonus is having 2 Master Pastellists holding workshops, Tony Allain and Karol Oakley. If you are not a member and would like to join check out the PANZ website, please see the Membership Application form. Entry forms for the Exhibition. But be quick closing date for entry is Friday February 8th ! From more than 2000 entries Michael Freeman's pastel painting, "UFOs" has won an Honorable Mention in the Still Life + Floral Category (juried by Jennifer Evenhus) in the 20th Annual Pastel 100 Competition. 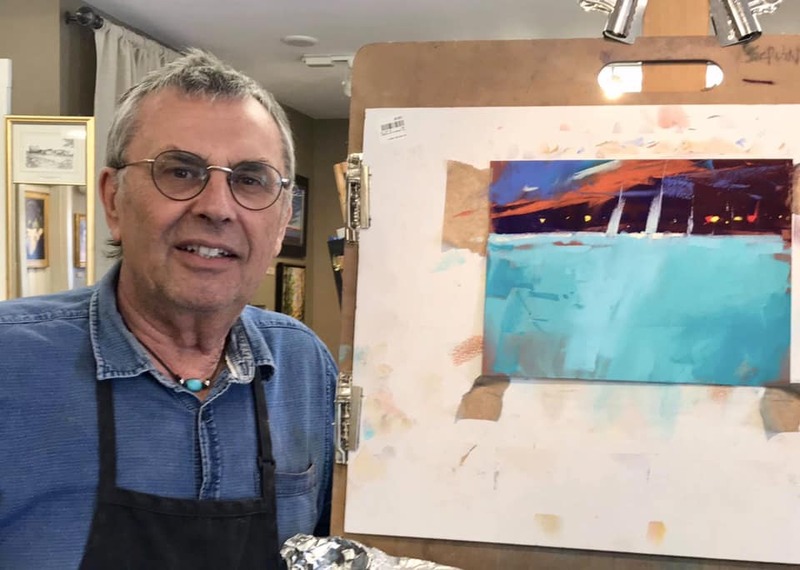 ​The painting will also appear in the April 2019 issue of Pastel Journal. Karen Neal's pastel portrait of her son "The Teenager" (Slice of Life series) has been judged into the Strokes of Genius 11 book. 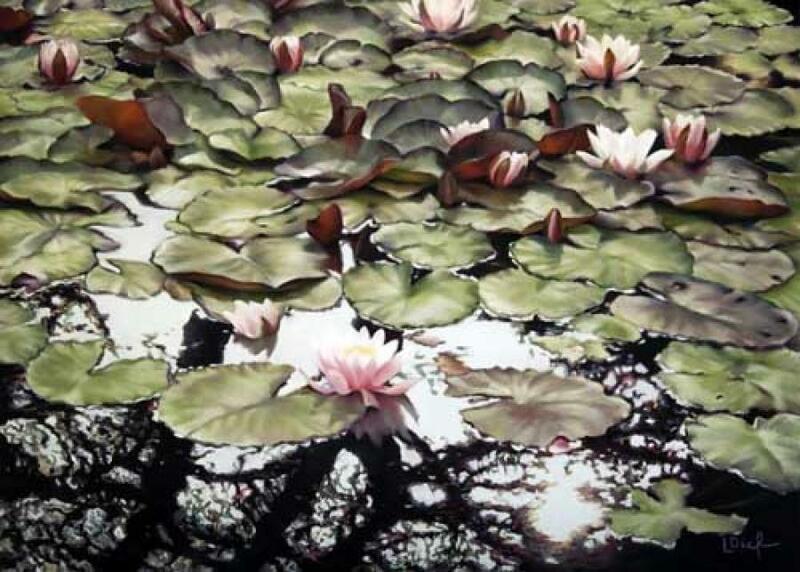 The artworks submitted were judged by guest juror artist Steven Assael (with the theme 'Finding Beauty'), along with 146 other artworks selected internationally. ​in the Australian Pastel Exhibition, 2018. PANZ has conferred the award of 'MASTER PASTELIST' (MPANZ) on Julie Freeman. 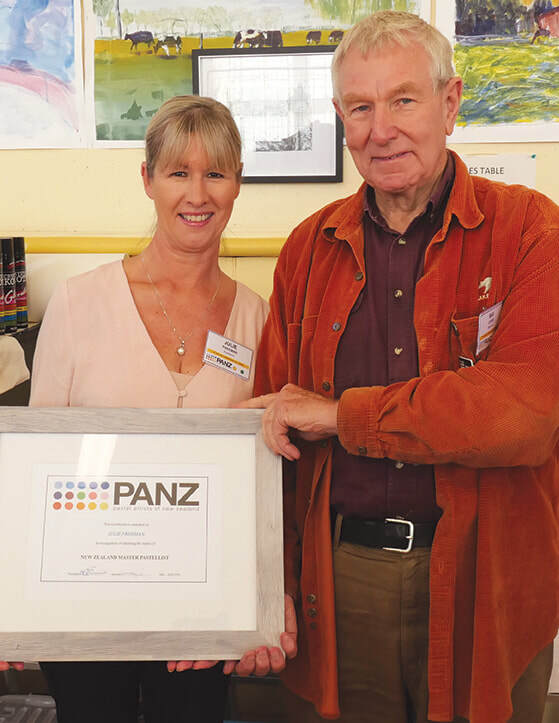 he has made an outstanding contribution to PANZ in its management (including introducing and managing the Facebook page with husband Michael) and in attending and contributing to PANZ conventions, has a strong track record of tutoring and mentoring budding pastel artists, and continues to garner international recognition for her work. Her outstanding achievements merit the highest level of recognition the organisation can bestow. 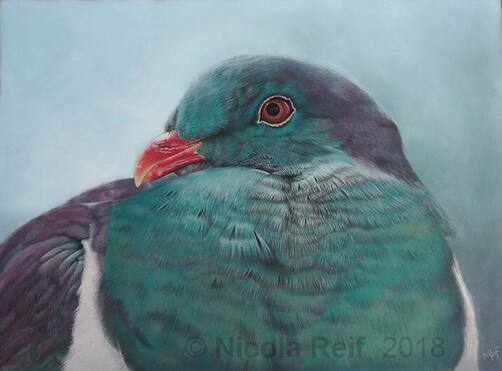 CONGRATULATIONS to Vicki Jackson of Blenheim, who received the 'Best Pastel Award' and 'NBS People Choice Award' for her pastel painting 'Solace' at the recent Impressions National Art Awards in Nelson. 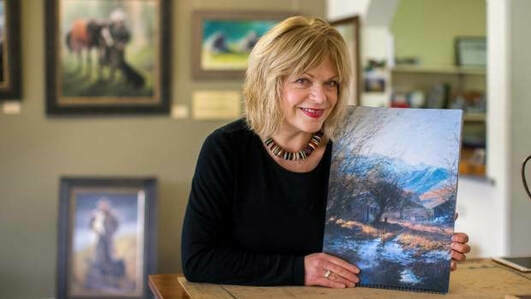 Pictured right: Glenys Forbes presenting Vicki with the 'Best Pastel' Award and her pastel painting "Solace"
Congratulations to Tony Allain, Julie Freeman and Michael Freeman for having two each of their pastel works selected in this prestigious juried online exhibition. Tony came away with a Silver award, Michael a Bronze and Julie an Honourable Mention. They have also gained points towards Master Circle status. Julie Greig's "In Transition, Lindis Pass, NZ" was selected for the Pastel Society of America’s 45th Annual Exhibition in New York – one of 178 chosen from 1298 entries worldwide. ​It was then selected for an exhibition at the Butler Institute of American Art in Youngstown, Ohio. The exhibit will open mid December and will run through January 2018. 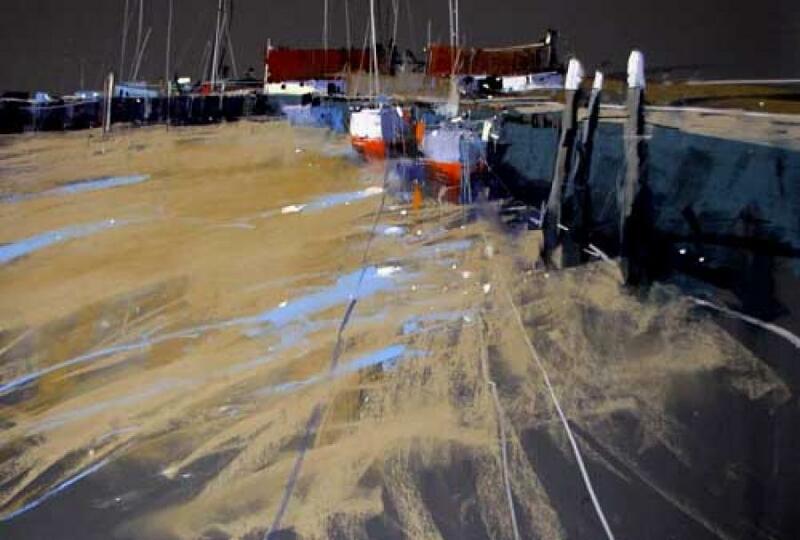 Tony Allain has achieved the level of MASTER CIRCLE PASTELIST within IAPS – International Association of Pastel Societies. ​This is a very high achievement and a FIRST for New Zealand. Tony registers at IAPS under the PANZ banner, as he still remains a member and retains his Master Pastelist status with PANZ. Master Circle status is hard to achieve and Tony has earned this very quickly, which is a real credit to him and his talent. Congratulations to Julie Freeman who has been featured in the July issue of French Art Magazine 'Pratique Des Arts' following her pastel journey. Julie is also honoured to have been invited by Ruben Adorna to exhibit with pastel artists worldwide in the PASIT exhibition (currently showing) in Tivoli, Italy . Congratulations to our esteemed member Tony Allain for being awarded 'Honourable Mention' in the IAPS exhibiton which opened 1st December 2016. This is Bembridge Quay, 18x26" (pictured right). 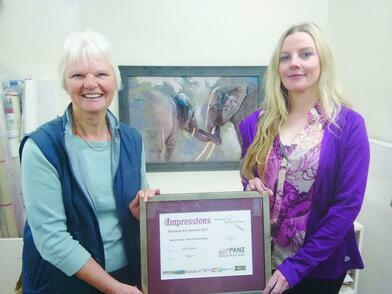 Lyn Deifenbach won the Founders Award with her beautiful piece "Upon Reflection" (pictured left). Lyn has tutored at previous conventions.